Prior to 1970 nearly half of all in-hospital deaths were evaluated at autopsy, today rates have dropped below 5%. 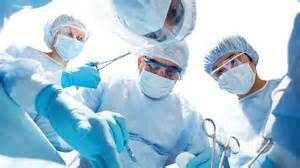 Some reasons for autopsy decline are: hospitals not being directly reimbursed for an autopsy, attitudes that new state of the art medical technologies can make accurate diagnosis, fears that autopsy may detect errors leading to malpractice claims, closing autopsy suites and personnel due to hospital cost containment. Autopsy is a valuable part of the process of assuring quality medical care and improvement, improve therapy, accurately diagnose disease states and provided family and physicians with cause & mechanism of death. 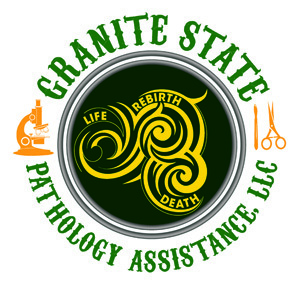 We can assist your department by providing full autopsy service coverage of your autopsies, a case by case relationship, or assisting your staff pathologist with the gross evisceration, examination, microdissection, histology block cut-in, and photography. Physician requested autopsy services include a Preliminary Anatomic Diagnosis within 48 hours of procedure, Final Anatomic Diagnosis within 45-60 business days after procedure, and communication with attending physician/surgeon inviting their presence to view autopsy if so desired. Nursing Supervisors can call our company anytime to ascertain information for inquiring families. If a hospital requested autopsy is not warranted we offer private and independent autopsy services for families requesting one. Autopsy procedures will not be performed on Hospital Facilities and conducted at funeral homes.